High quality to the raw material to processing! The fruit used is of the highest quality and is harvested at the right point of ripeness. Peeled and pitted, it is free of residues and foreign materials. 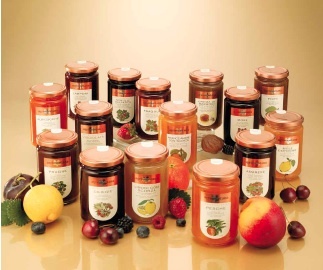 The Agrimontana jams are produced with the recipe "housewife", exclusively with fruit of first choice, without the addition of any additives. Amarascata® is an extra jam of maraschino cherries, the fruit cultivated and processed by Luxardo for the distillation of its well-known Maraschino, and for the preparation by the infusion of the Moravacco marasca liqueur.